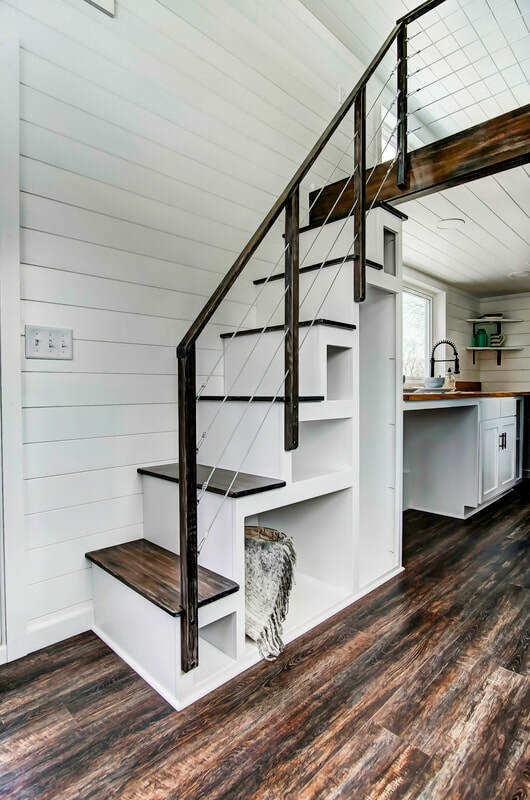 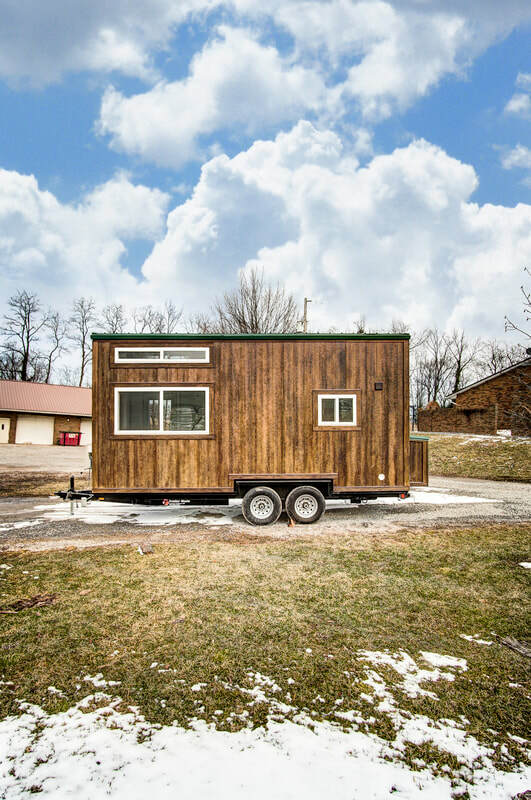 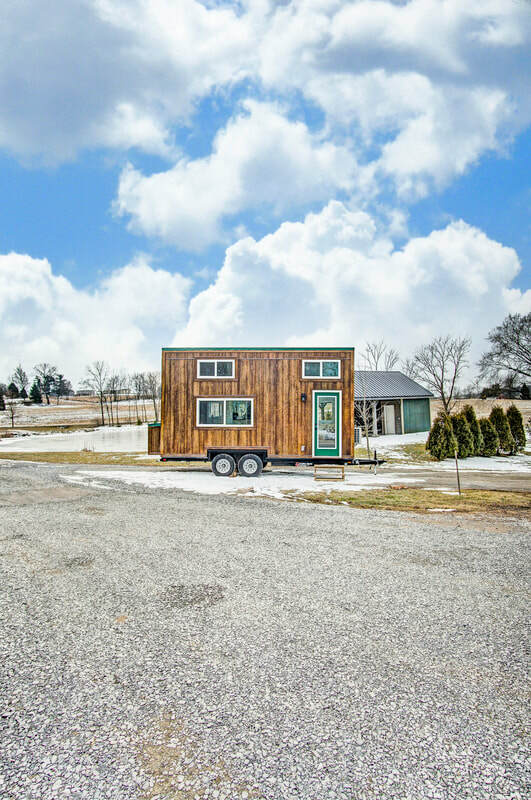 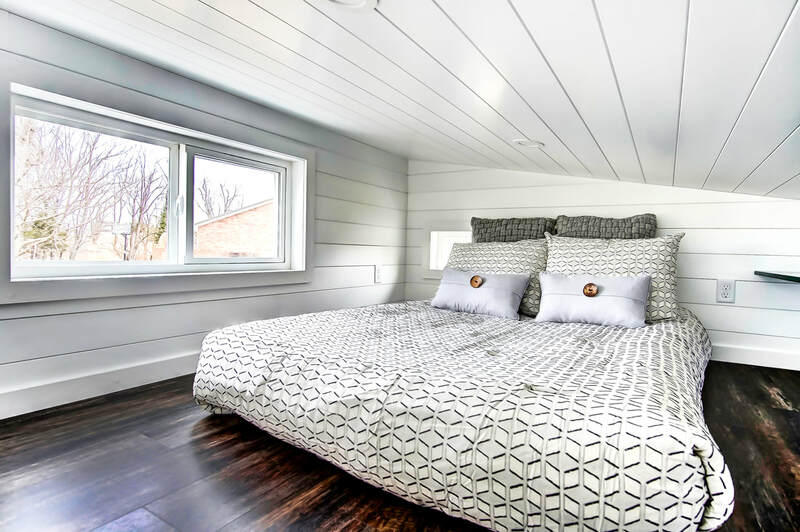 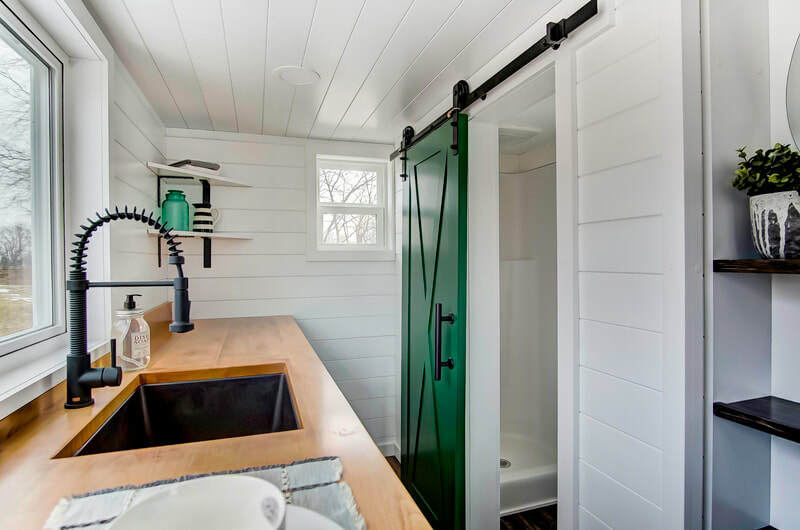 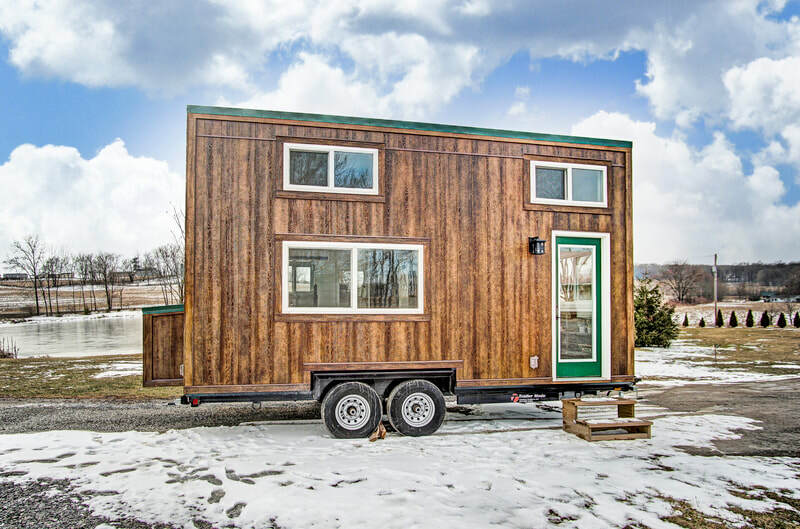 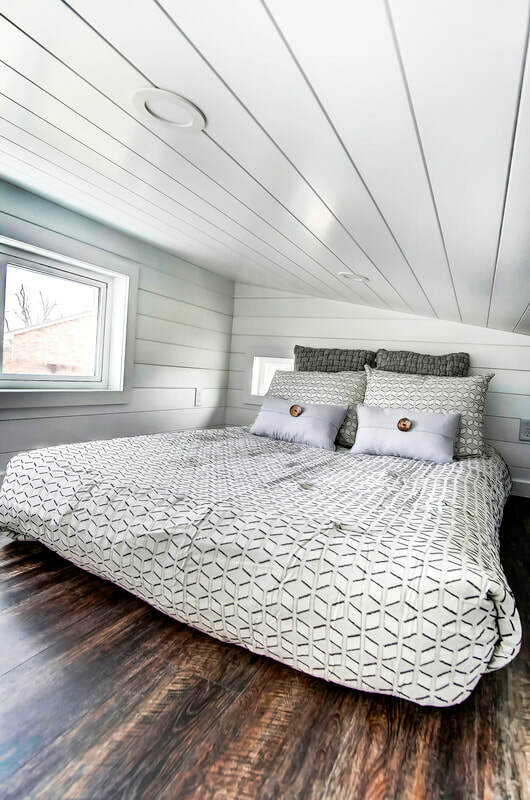 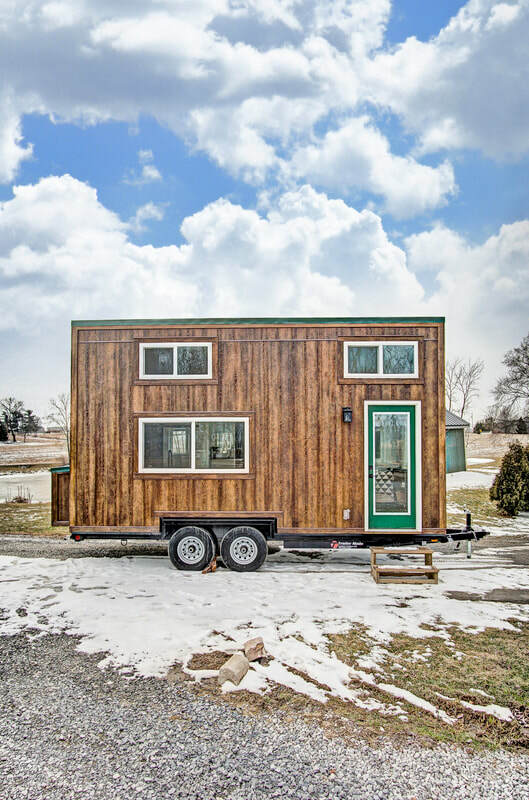 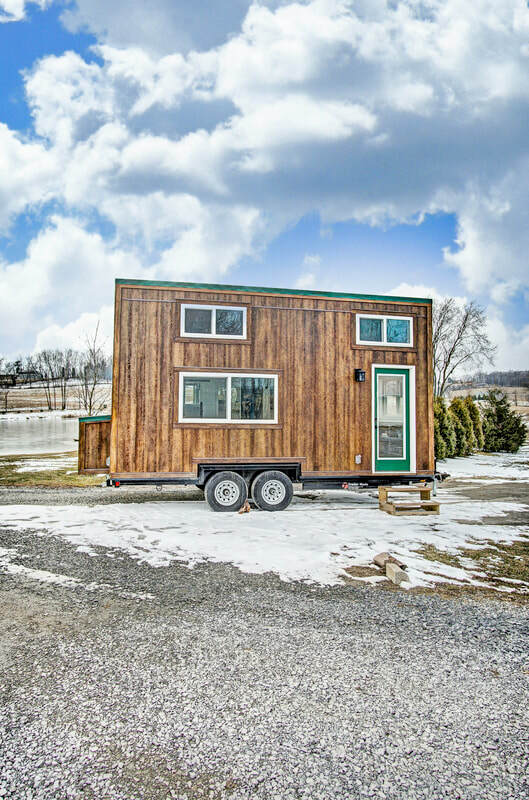 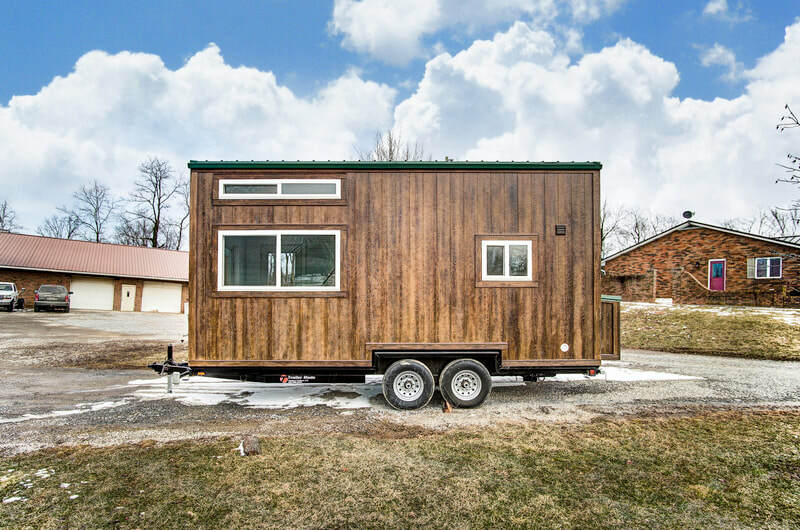 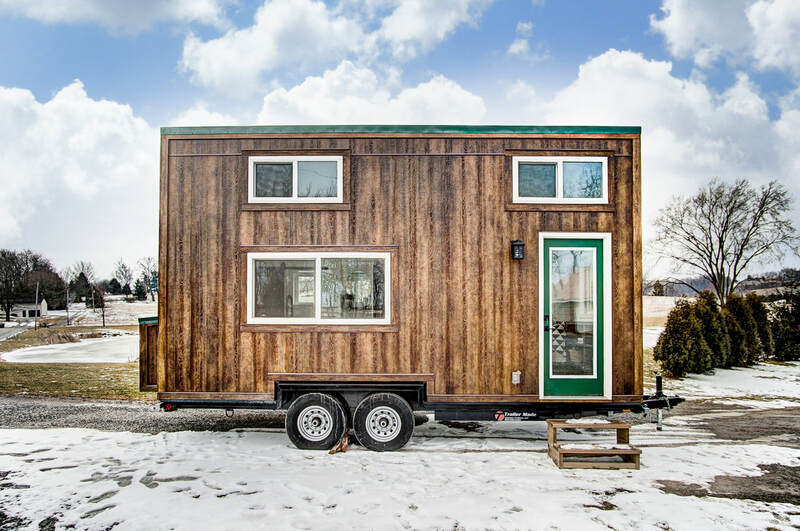 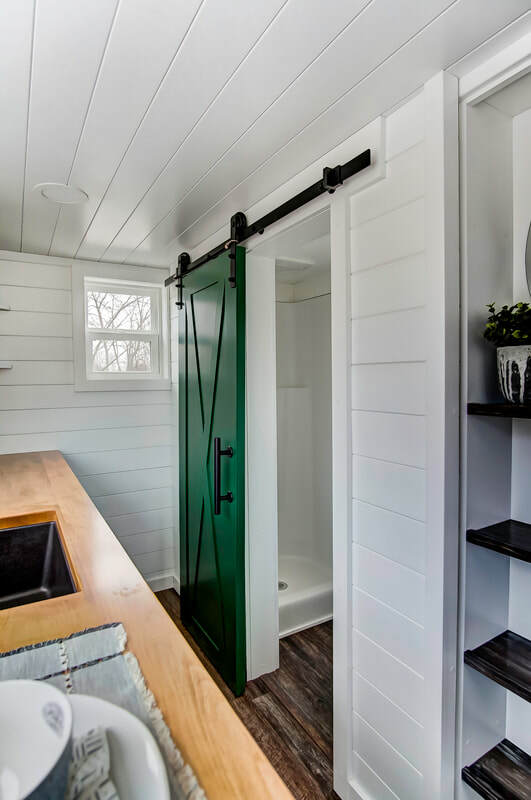 Kinnakeet is a wonderful 20 ft. x 8.5 ft. tiny house based on Modern Tiny Living's popular Mohican model. 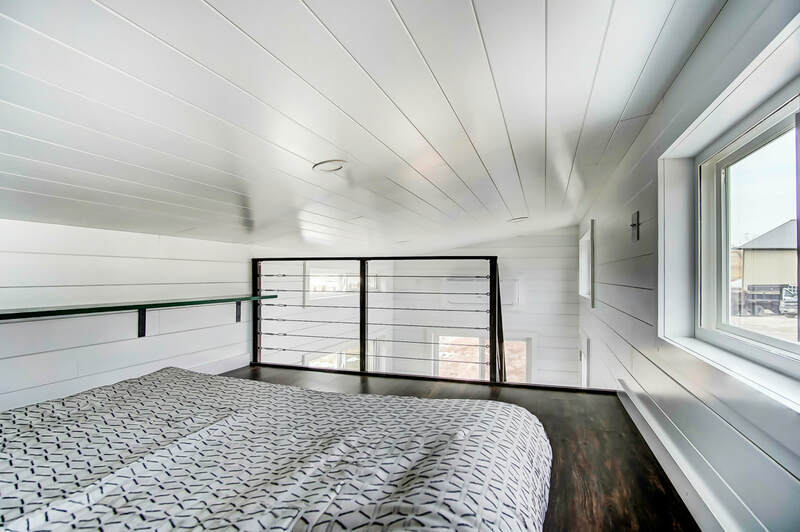 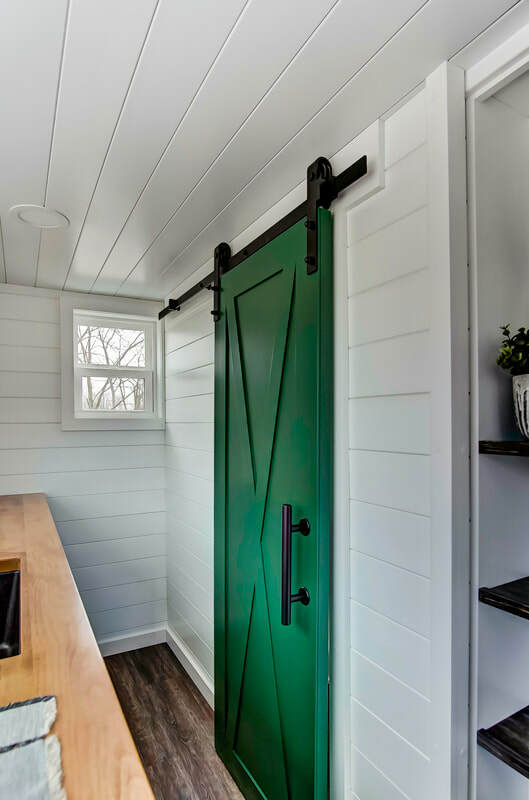 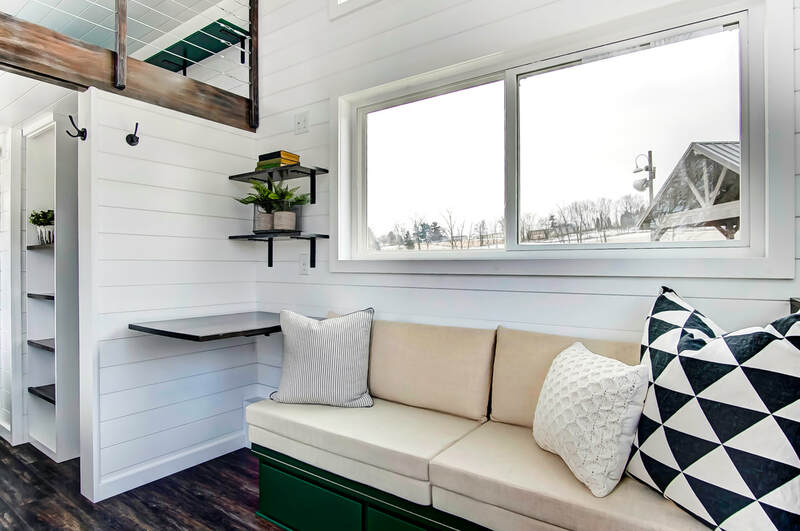 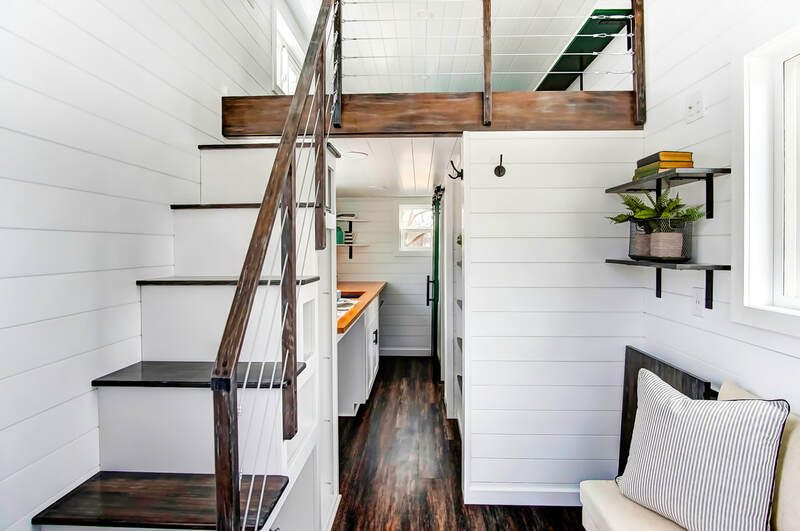 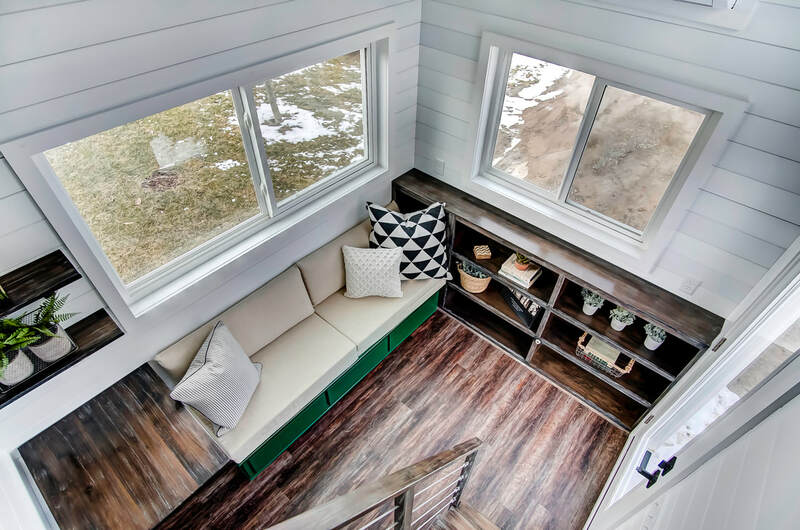 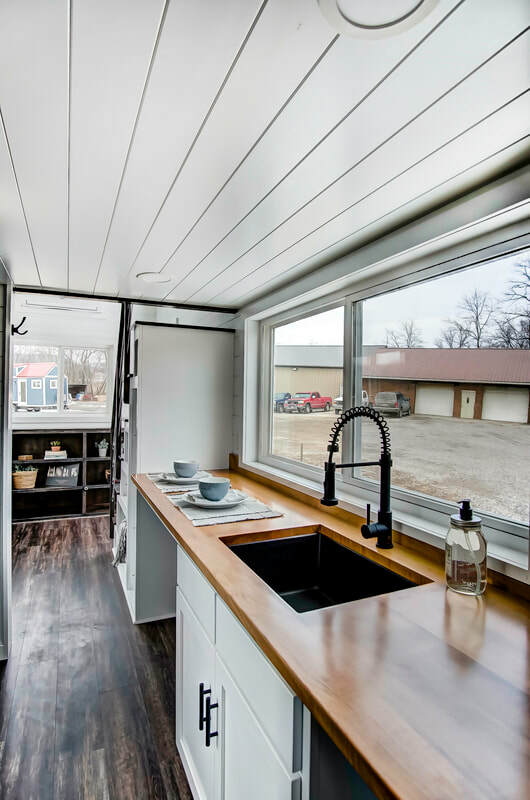 With beautiful green accents over white interior with dark floors, Kinnakeet is a stunning build, perfect for a full time home or a weekend traveler. 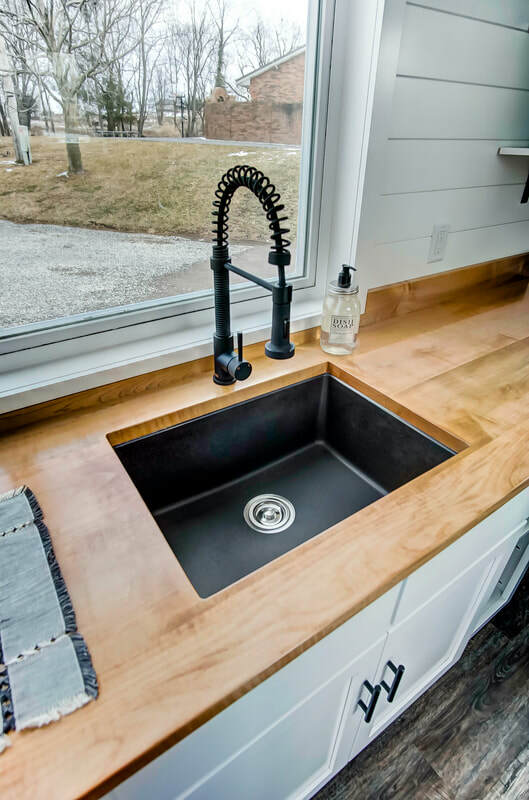 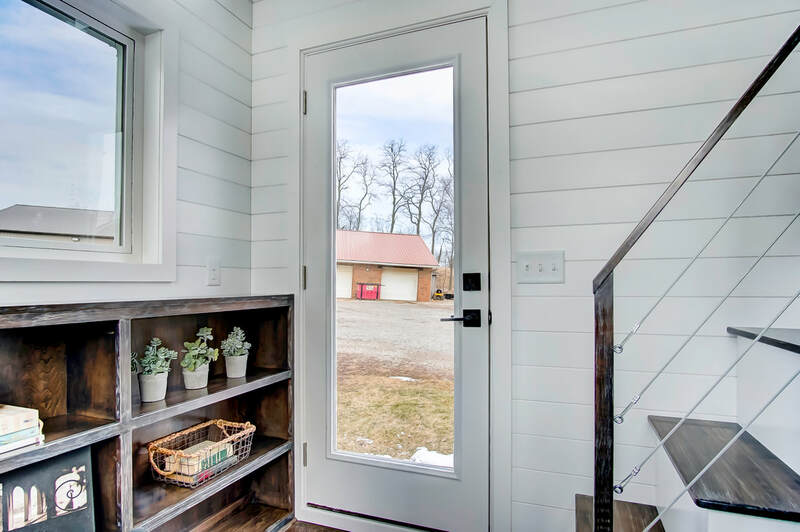 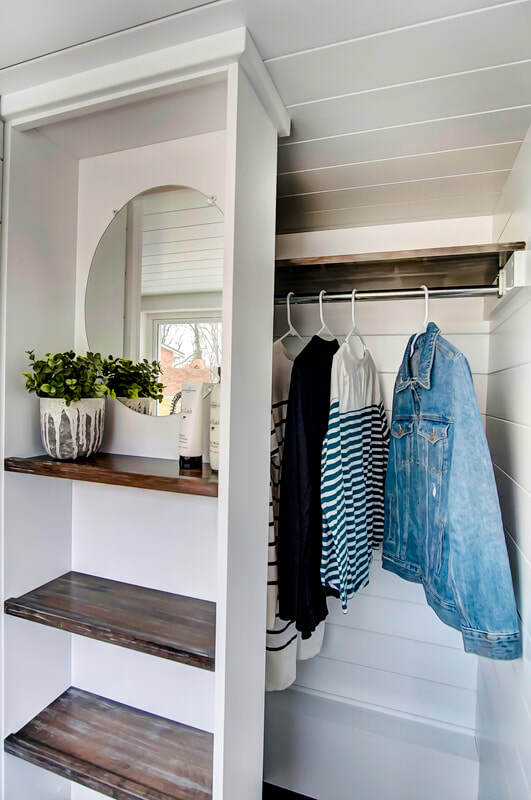 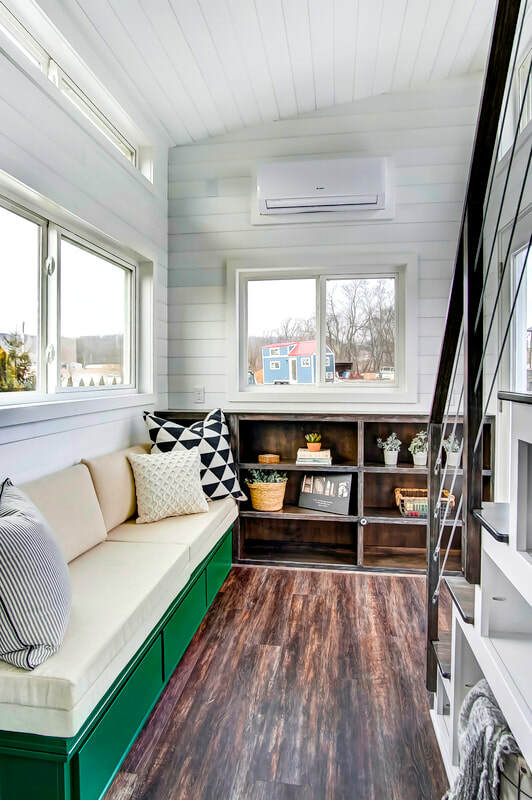 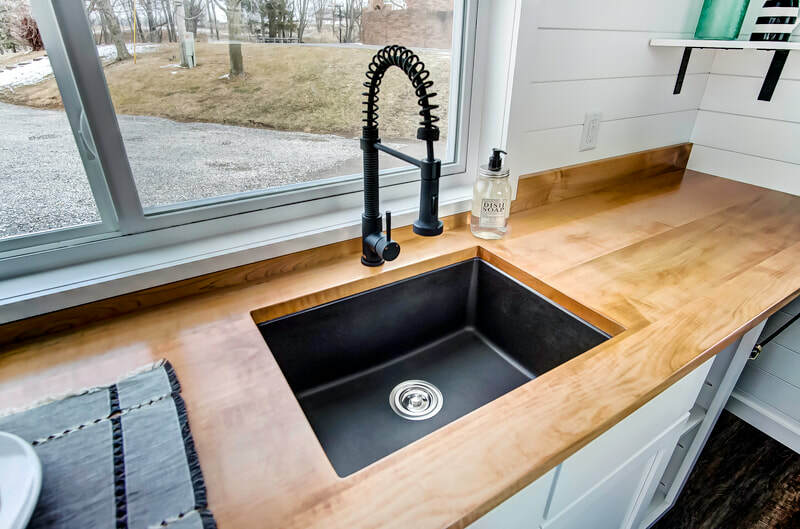 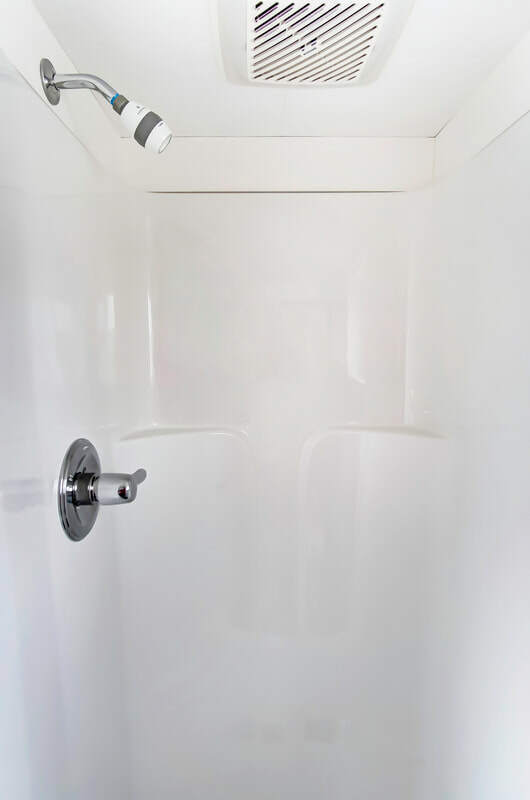 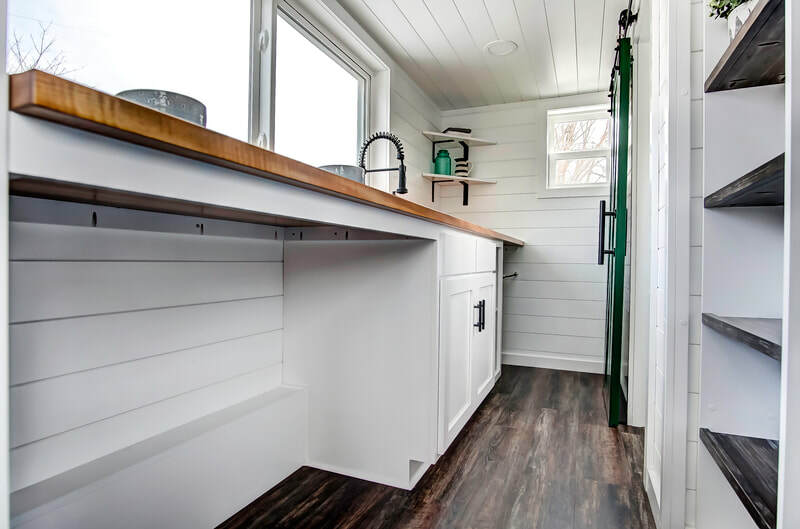 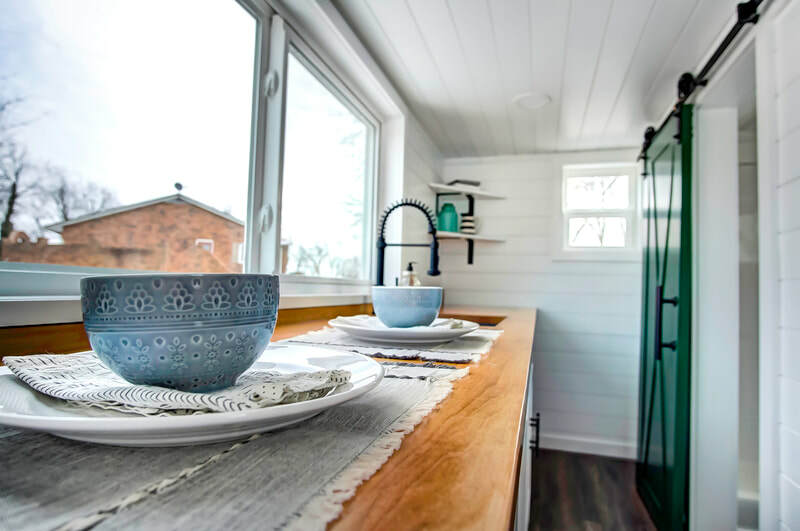 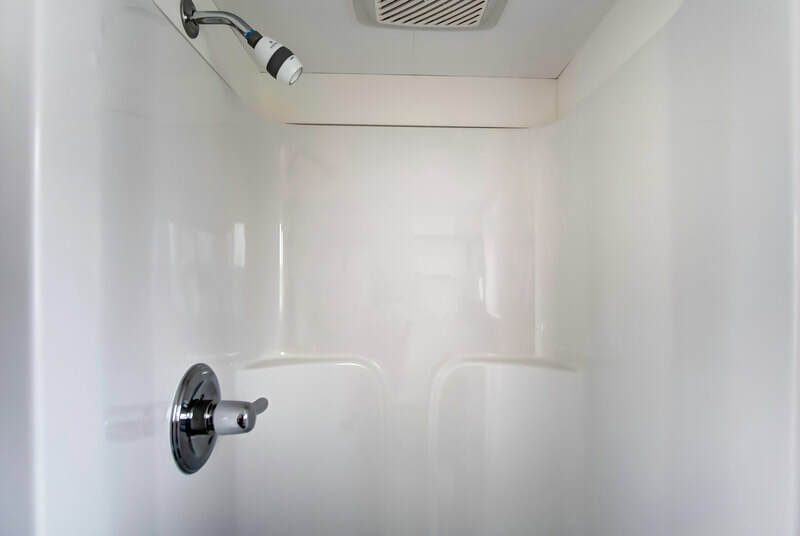 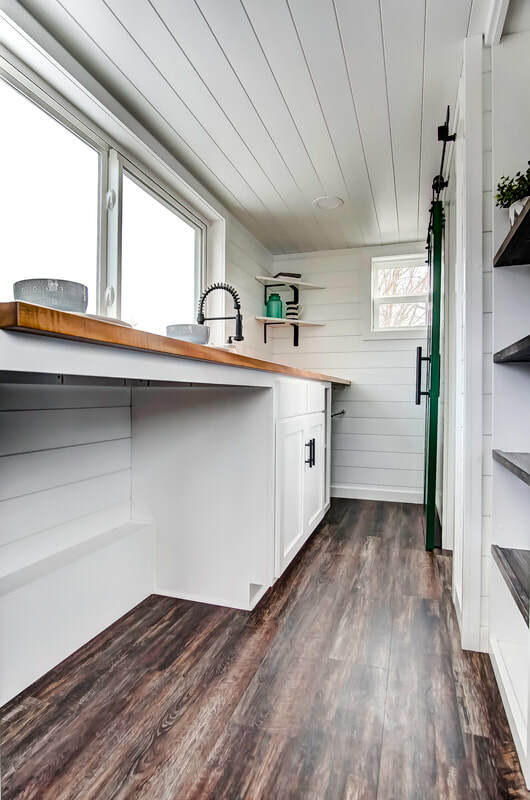 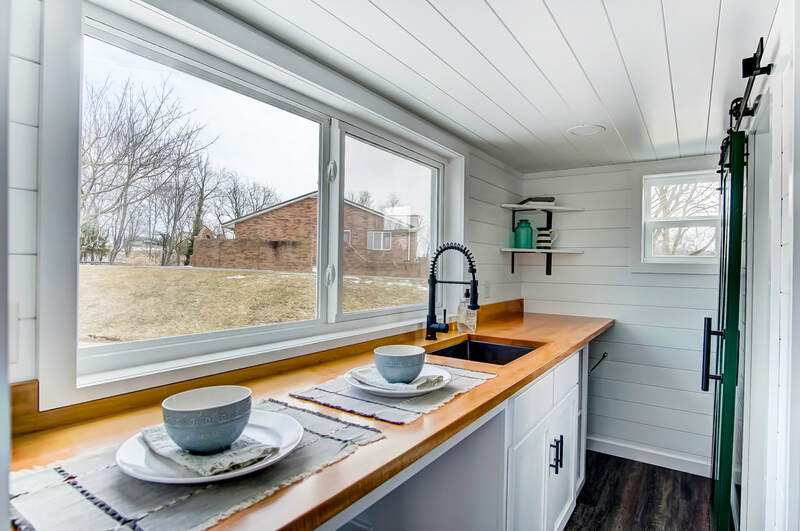 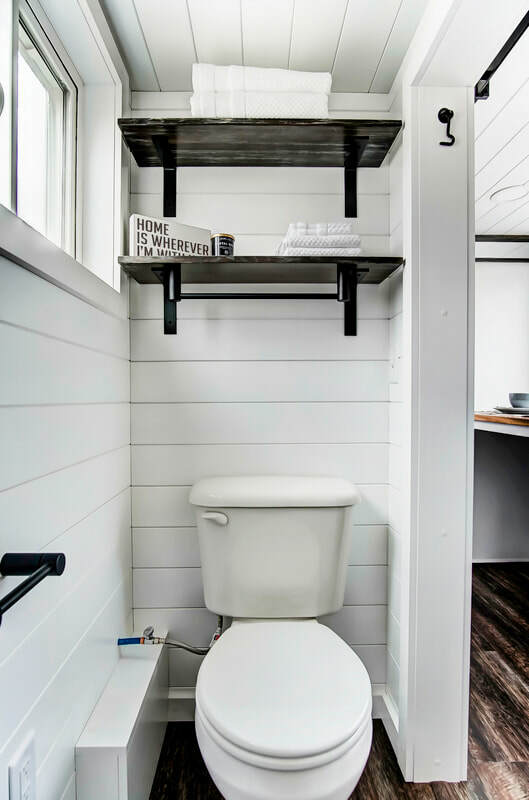 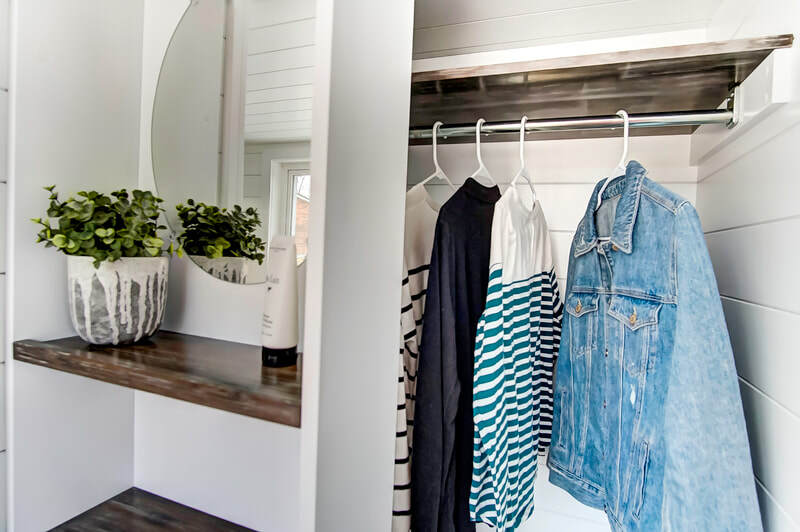 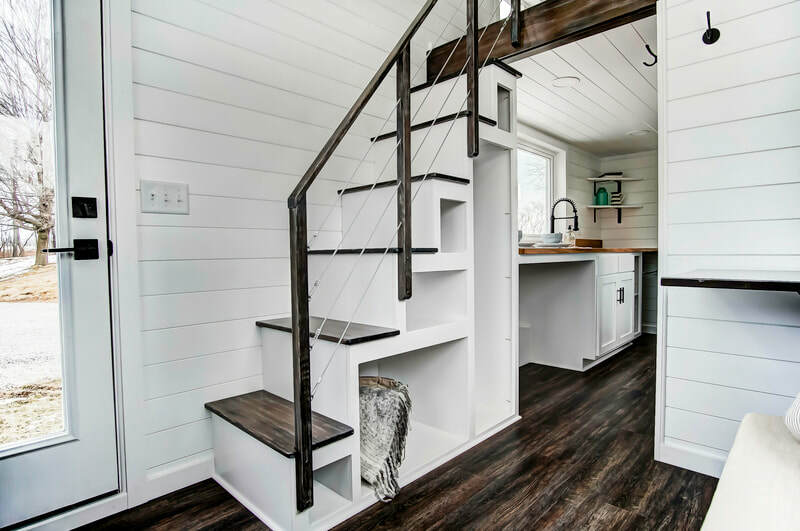 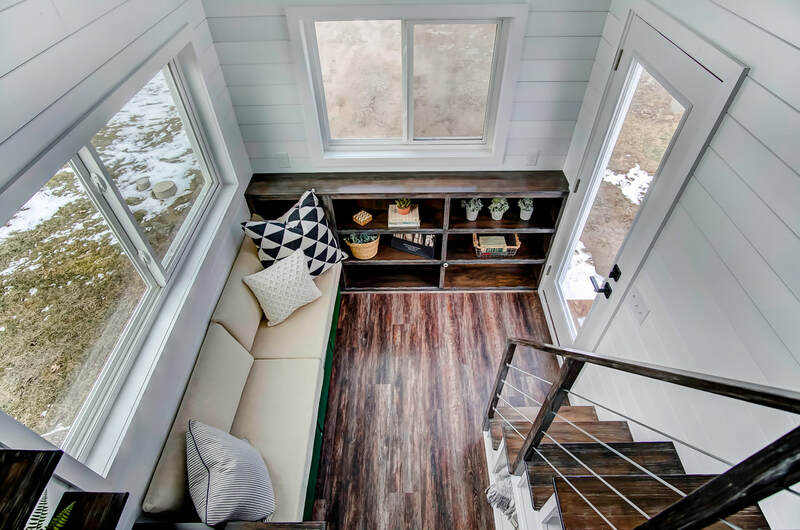 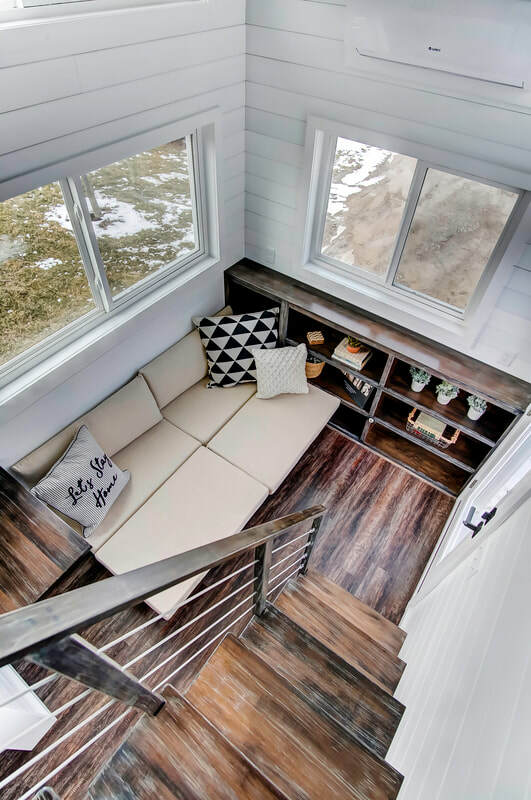 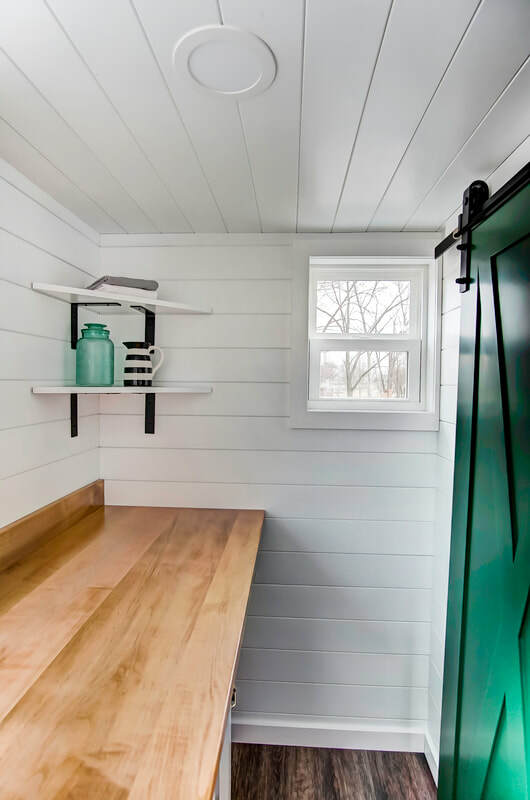 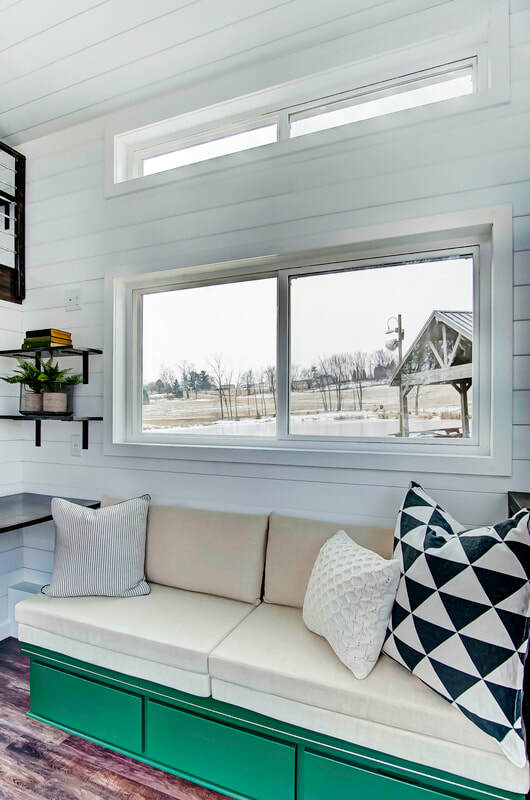 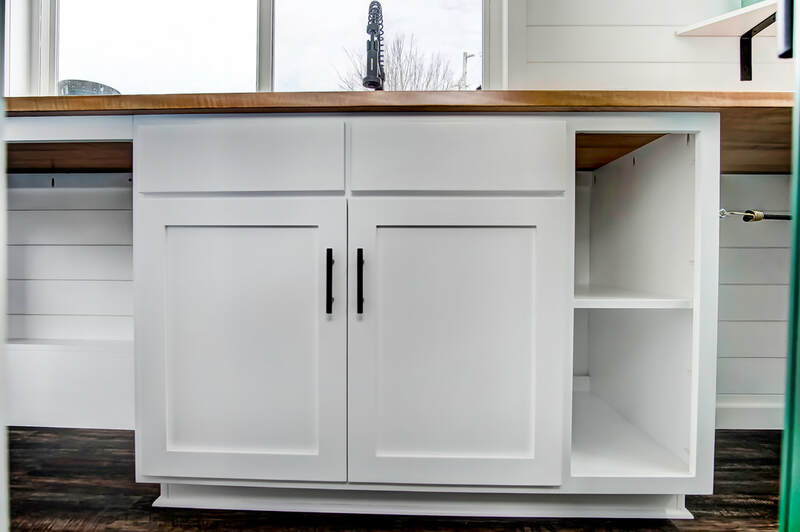 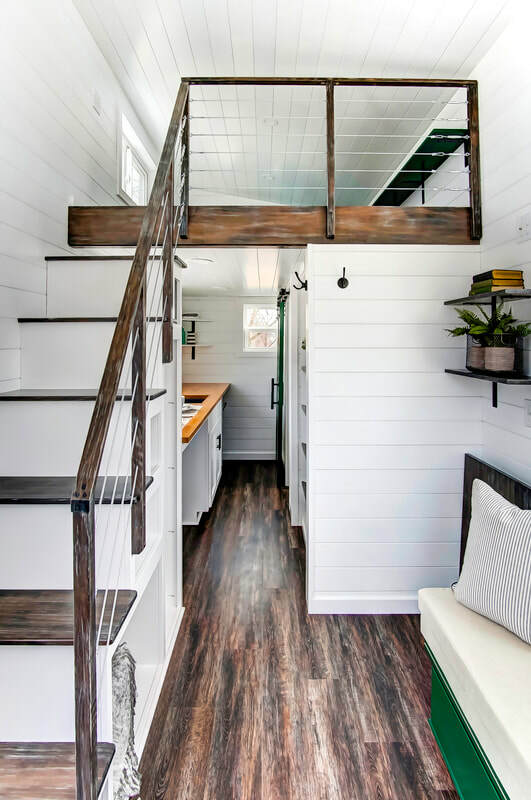 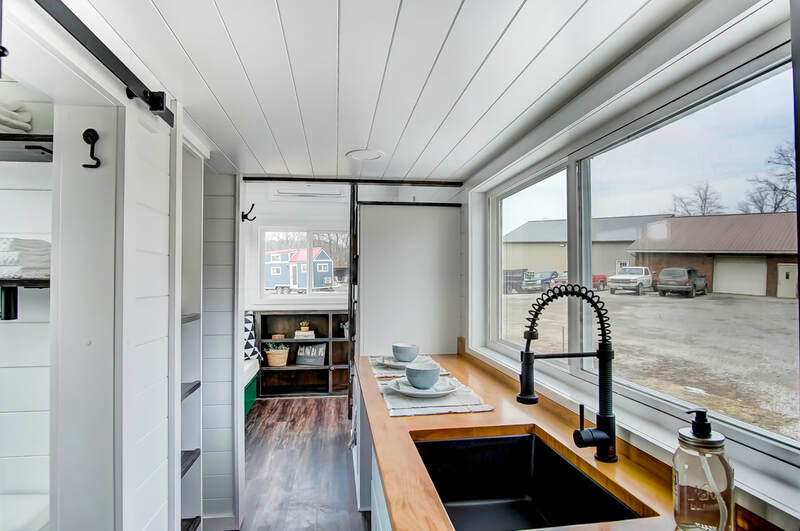 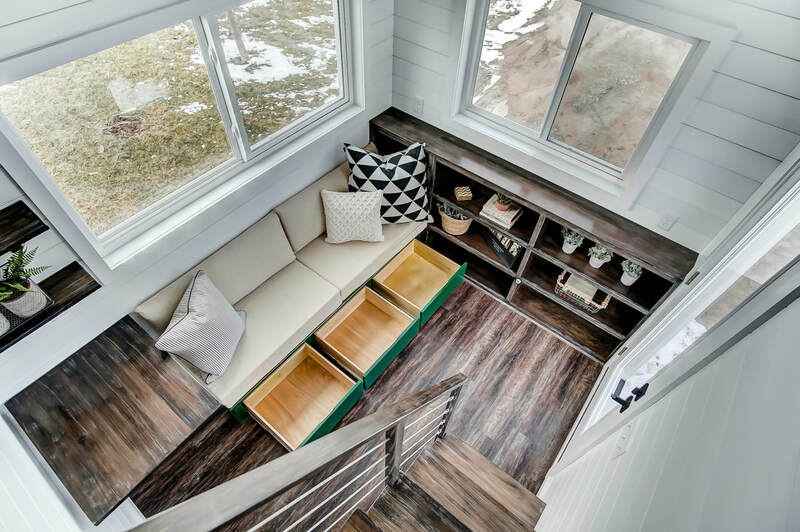 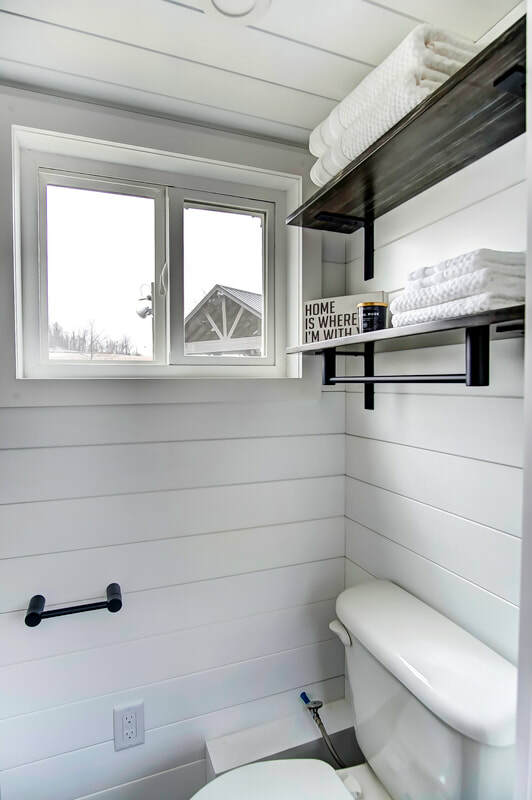 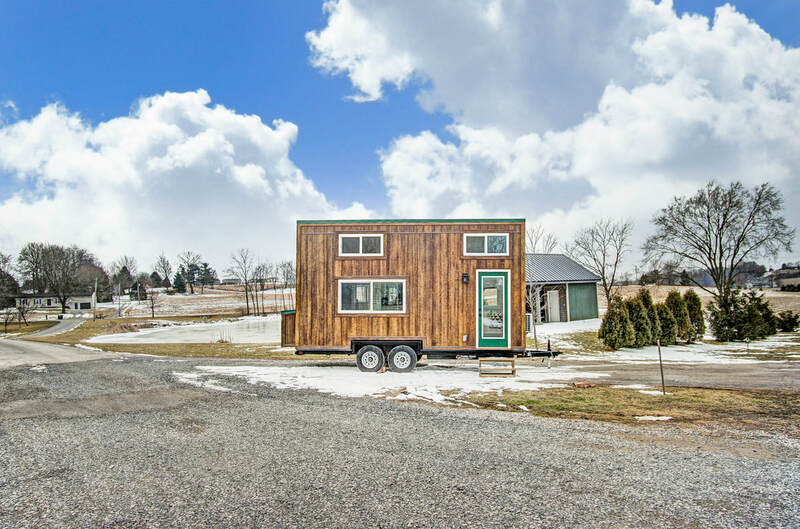 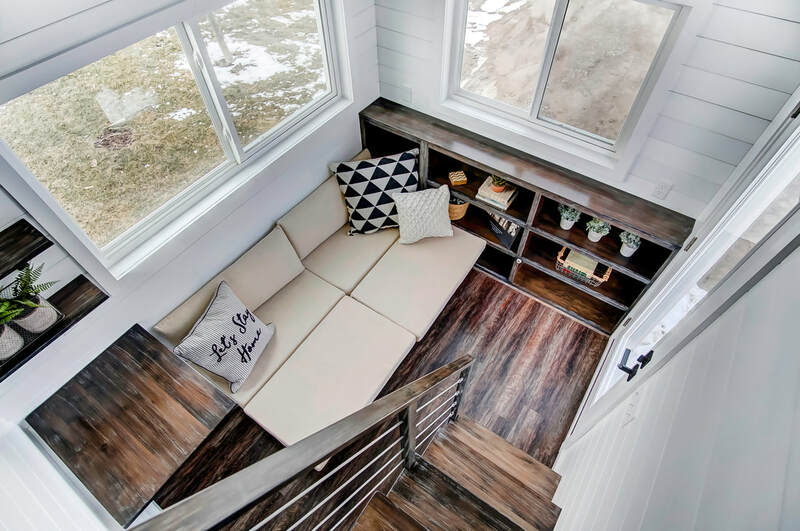 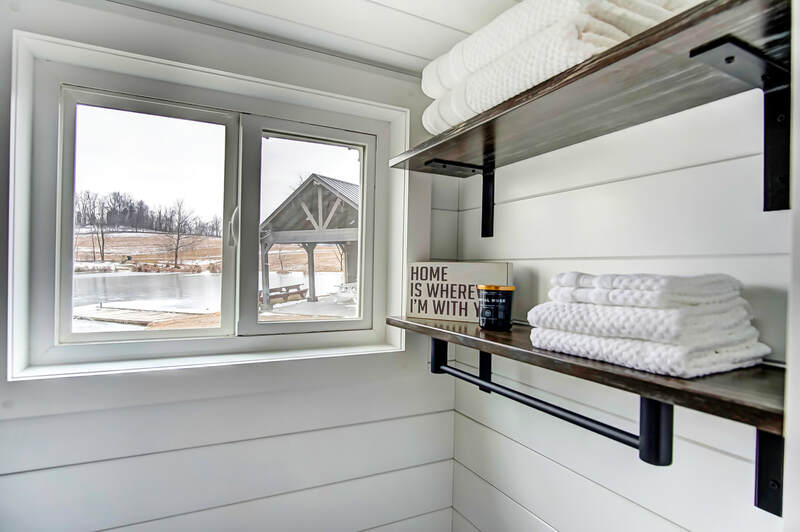 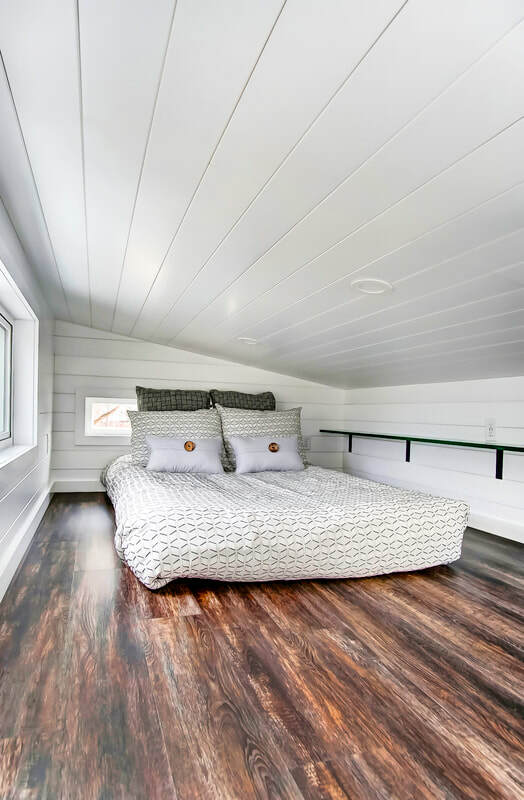 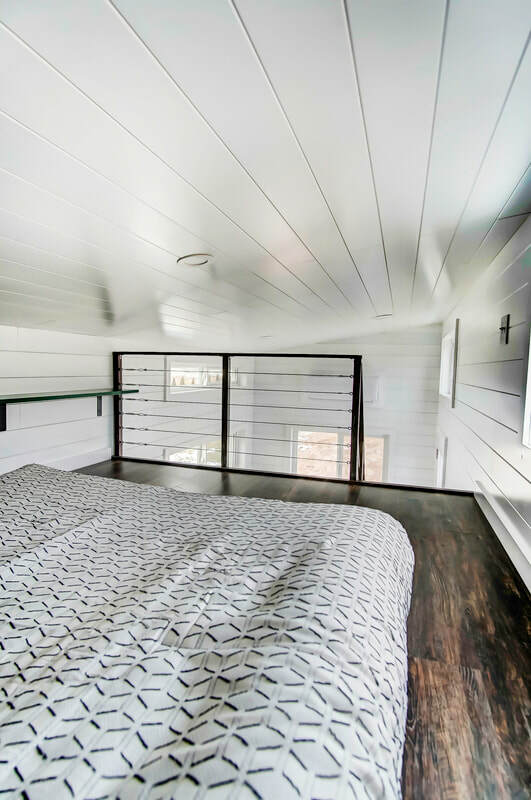 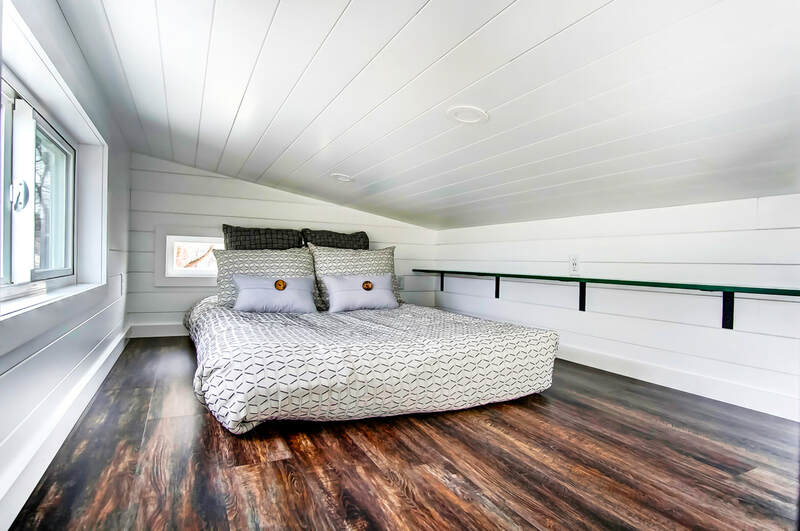 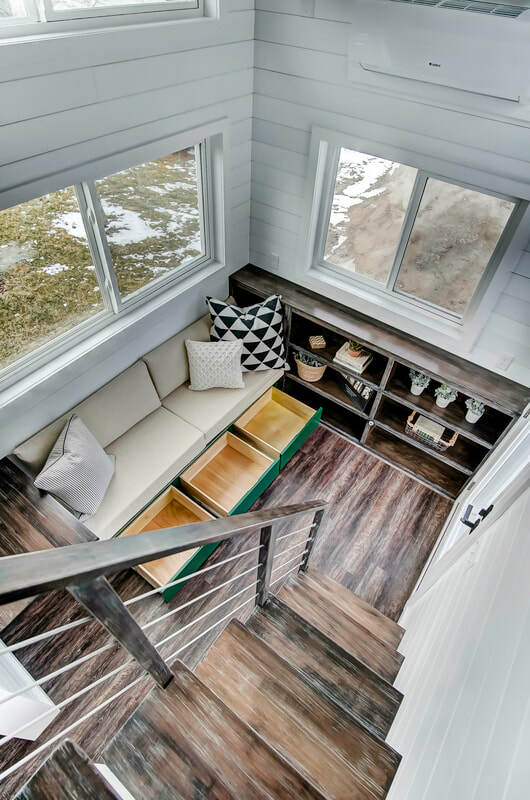 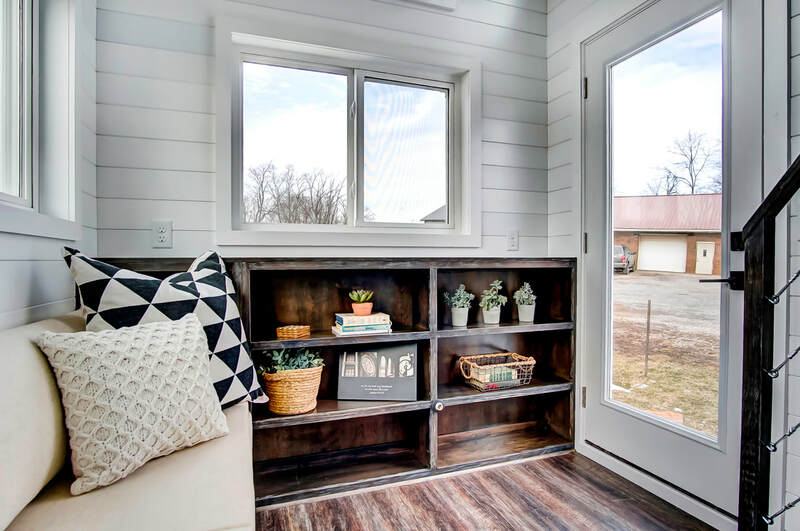 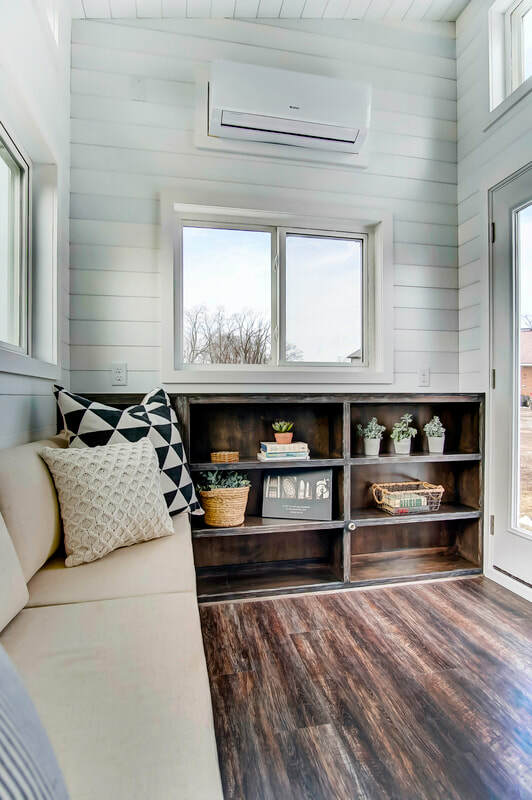 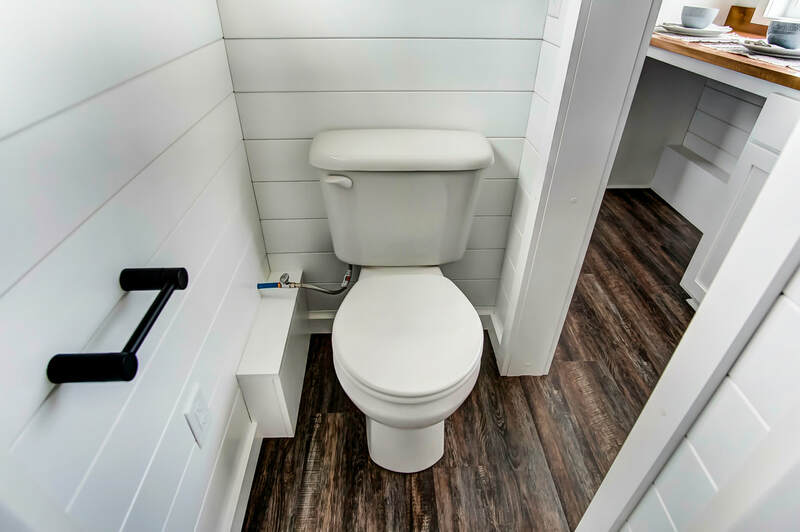 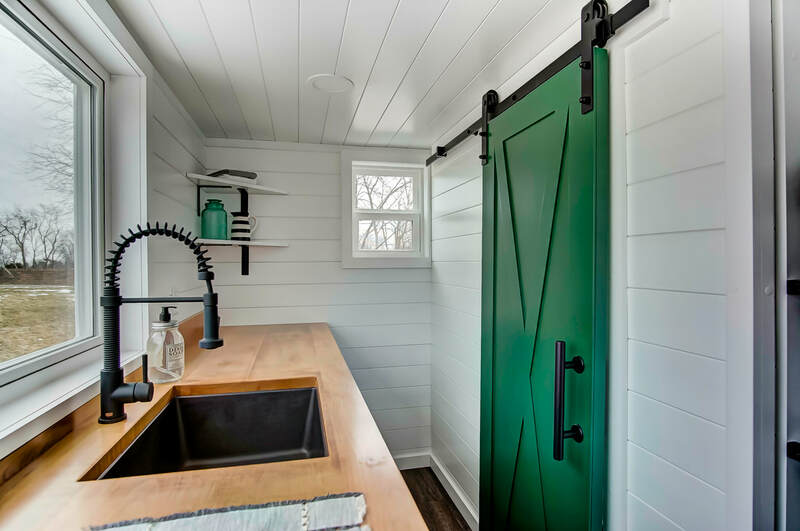 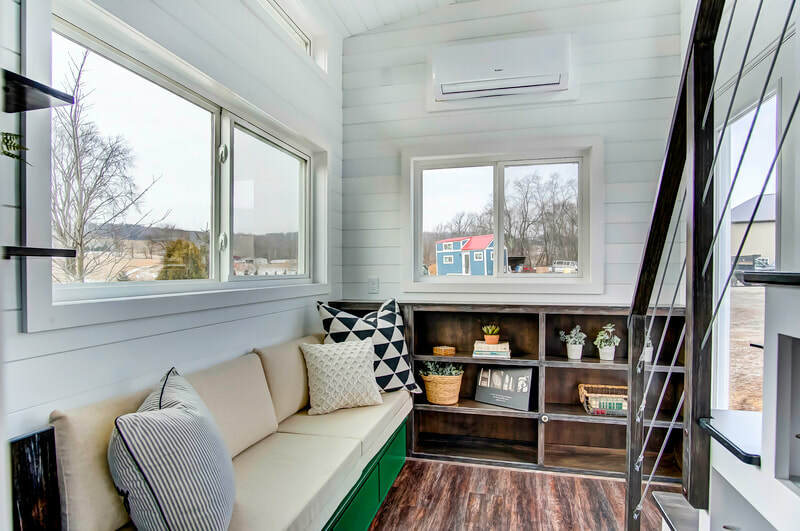 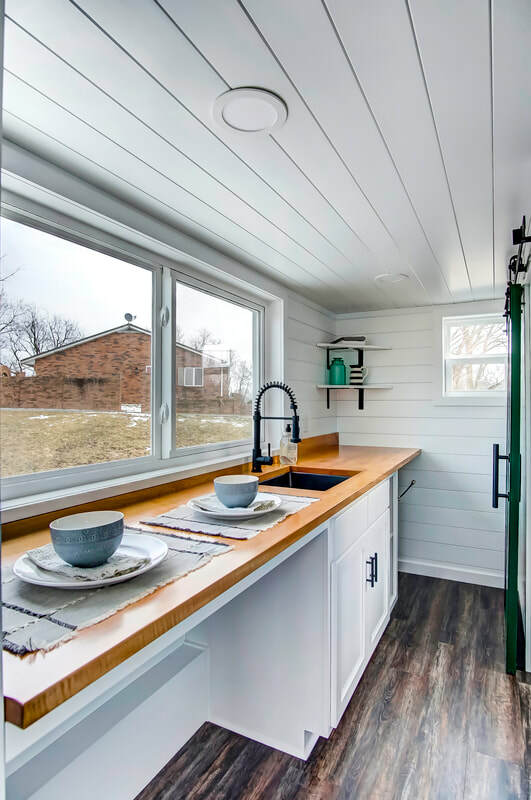 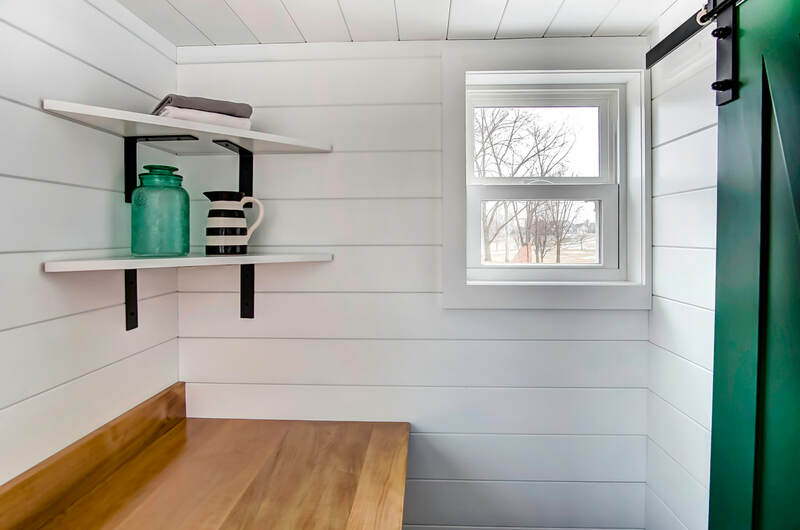 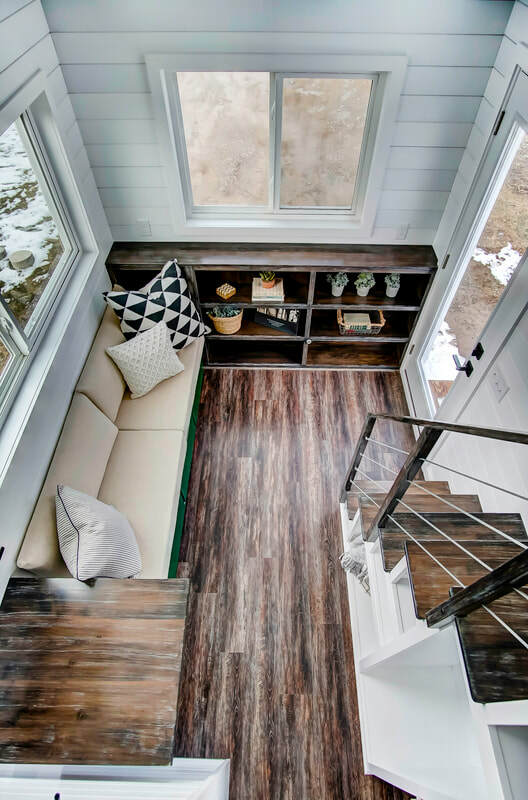 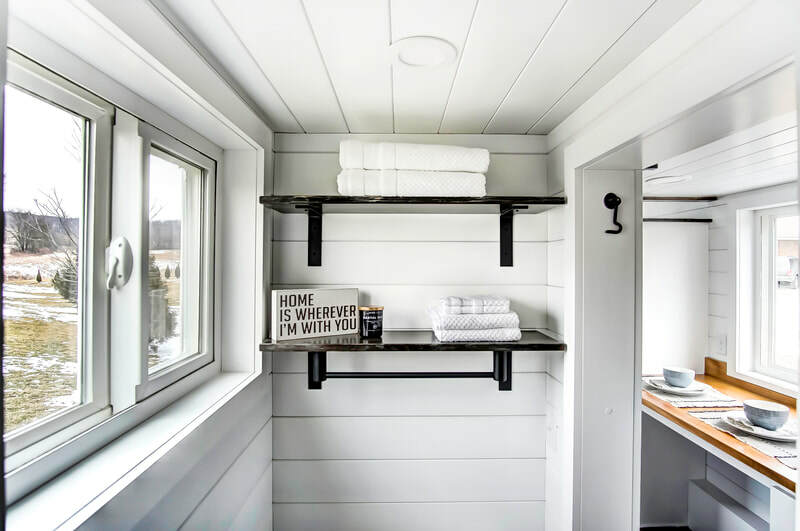 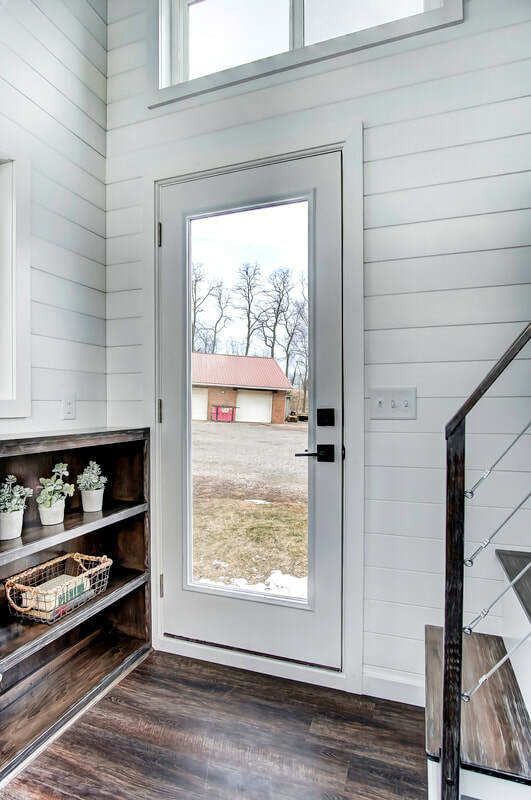 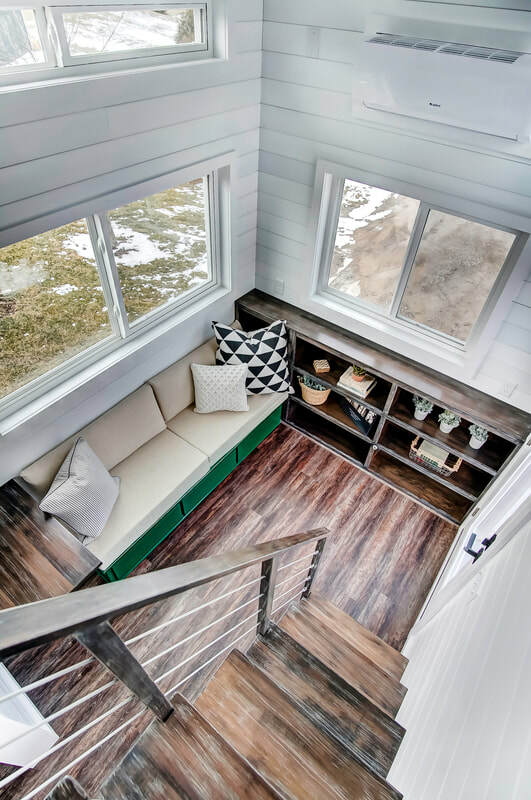 This model is being used as a tiny house AirBnb rental, so you'll notice it doesn't have the full appliances like most of our full time tiny homes. 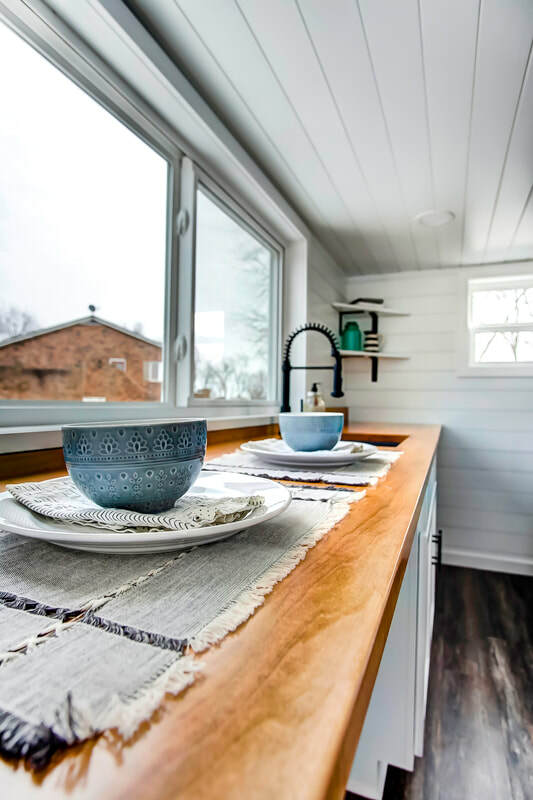 WANT MORE INFO ON KINNAKEET?